PregDance is on holiday this week. But I thought I should have reminded you, even from Italy, of your daily practice of Pelvic Floor exercise… Oh yes…. always them! You know that every week, in both Pregnancy and Mum&Baby Ballet classes, I take five minutes to practice Pelvic Floor exercises. And every week I ask you (to the point of getting really BORING… I know, Sorry!) to practice these exercises on a daily basis at home or even out and about. Do you know why I am so devoted? Your pelvis muscles are there to support all the content of the pelvis and abdomen, including your uterus and growing baby. Toning these muscles, not only allows a healthy support of your organs and of your baby, it also improves blood circulation in this area and reduces the risk of perineal tearing during birth. Pelvic floor exercises involve both strengthening and toning the pelvis muscles, as well as relaxing and learning how to let them go. 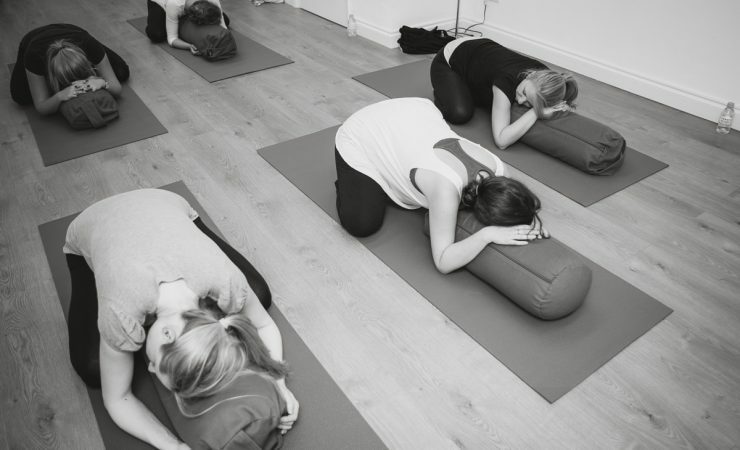 During Pregnancy Ballet classes, we learn to relax your pelvis on the exhale, helping you to ‘LET GO’ during labour and to breath out your baby into the world during birth. Pelvic Floor exercises promote a rapid recovery after the birth of your baby. That’s way I usually advice to start practising them again (but this time squeezing on the exhale) as soon as possible after birth. And do you know the best bit??!! Pelvic floor exercises should really be practiced throughout your life, not only during pregnancy or after birth!